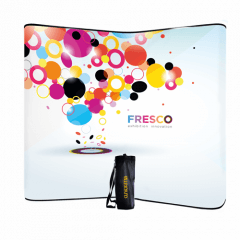 Fresco offers a uniquely wide range of backdrop stands for exhibitions and events. Backdrop stands are a superb way to showcase your company branding at an event. 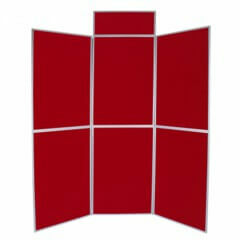 FOLDING PANEL SYSTEMS both hinged panel and pole and panel. 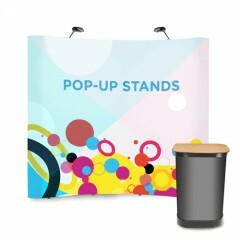 Backdrop exhibition stands come in a wide range of options. Fabric displays offer a unique and extremely portable option that has many unusual shapes. Aluminium frame displays are classy engineering systems, Curvorama is the most versatile display system in the World. 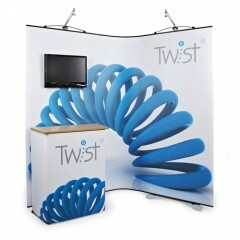 Twist is very solid, very versatile system with many accessories. Pop-ups are a classic curvy favourite and Folding panels are a tried and tested basic standby. And as a green and cost-effective alternative Fresco offers a full re-graphic service. We can fit a new print into almost any type of aluminium frame system, almost any kind of portable display come to that.